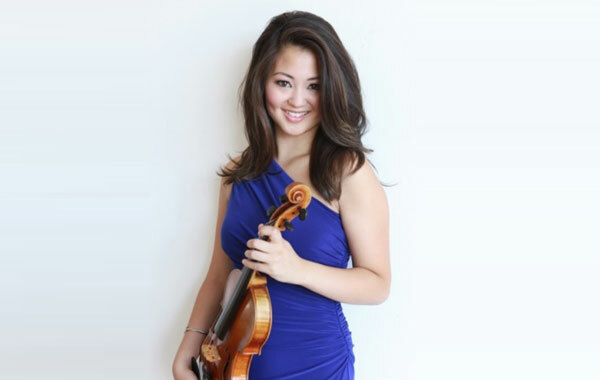 You are invited to the Bucks County Symphony Orchestra Spring Soiree, featuring an intimate performance by violinist, and Spring Concert guest artist, Simone Porter. A buffet supper, wine, and desserts will be provided before the performance at the home of Barbara Donnelly-Bentivoglio at 3 Maple Court, Carversville, PA 18913. The Soiree benefits the Bucks County Symphony Orchestra, its programming, and its partnerships in education. Take Mechanicsville Road eastbound, crossing both Rt. 413 & Aquetong Road. Turn left onto Tamarack Drive, then left onto Maple Court. Barbara’s house (brick front) is the first one on the left. Turn on Mechanicsville Rd., heading eastbound. Proceed through the 4-way stop at Aquetong Rd. If coming from the New Hope – Solebury area, be aware that the bridge may be closed at Cuttallossa Rd. If the detour still exists, take Rt. 263 westbound to Aquetong Rd. northbound, and proceed as above. then right onto Tamarack Drive and left onto Maple Court.